Choice El Cerrito locationâ¦Handsome exterior, perched up on the lot. Inviting entry open to living room with stone faced FRPLC & large picture window. Updated kitchen features oak cabinetry, rich granite counters & stainless appliances. Dining area with easy patio access. Nice sized master suite. Updated upstairs bathrooms. Downstairs bedroom, storage area and game/family room w/FRPLC. Dual pane windows (upstairs), plush carpets & laminate floors. Family sized patio area & mature landscape. 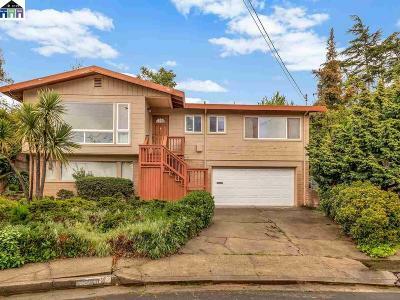 Only minutes to BART, parks, schools, shopping & dining.